March is here and begs the old adage: In like a lion, out like a lamb or vice versa. Either way, change is upon us and new things are on their way. So in keeping with this, so goes The MOPS Blog. The MOPS Blog is getting a little facelift, if you will, to offer a platform so your voice gets shared. We’re girlfriends, right? So we need a place to talk. 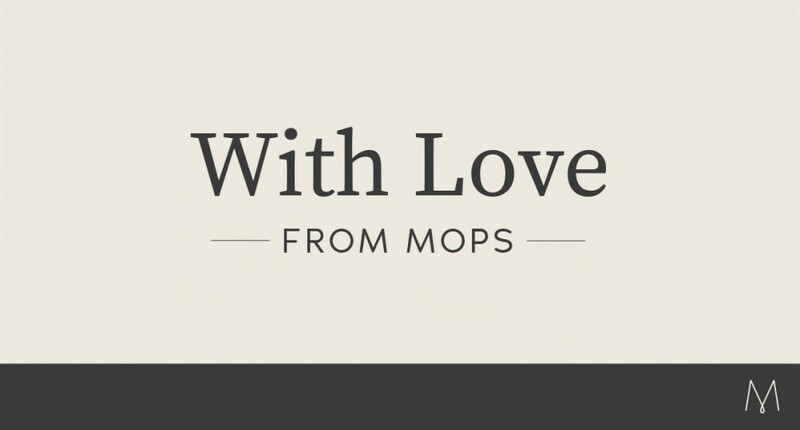 Think of The MOPS Blog as our ongoing conversation with mom shares, high fives, heart-to-hearts from the motherhood trenches. Beginning this month, we’ll be posting more frequent and unique Calls for Submissions (videos, quotes, short MOPS stories, etc). in order to curate all of your amazing untold stories, sage advice, encouragement, mama shares. It’s a little bit unpolished and perhaps more raw, but what do you expect from women who are changing the world with a baby cradled in one hand, coffee in the other; a bit sleep deprived, but still carpooling/telecommuting/working like a boss?! We can’t wait to hear from you! Check out the new blog, coming April 2! Can you feel the excitement?! Even if you didn’t win VIP MOMcon tickets like this mama, you can still join in on the excitement! Buy your early bird tickets for MOMcon 2018 in Louisville, KY, Sept. 20-22. By submitting to MOPS International, you’re agreeing to the following terms. “My 17-year-old self loves to show up at times like this – when I haven’t showered and I’m in the oldest pants I own, in the middle of doing the most domestic of tasks. I smiled though, because she’s a friend – even if she gets saucy sometimes.” Read more. “There’s a foreign object in my son’s head. And I’m not ready to be thankful for it yet.” Read more.